CANCELED! 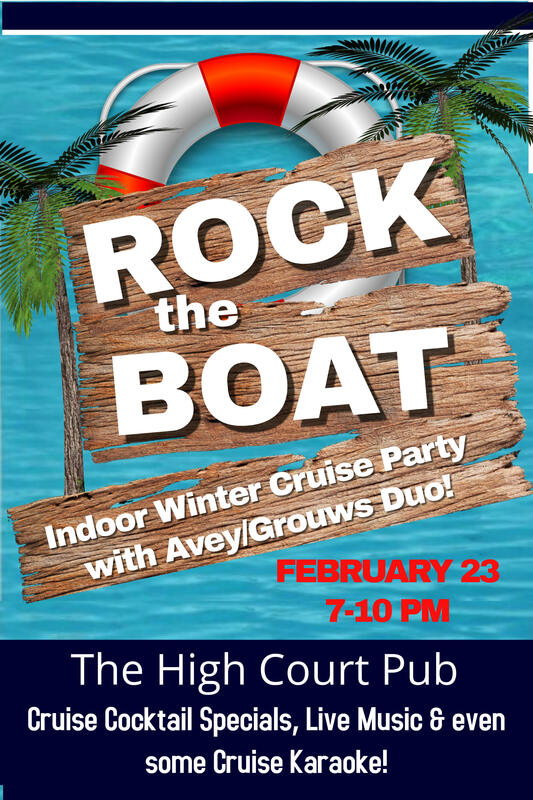 Indoor Winter Cruise Party with Avey/Grouws Duo! SNOWBOUND!!! Tonight’s epic Caribbean Cruise is RESCHEDULED to next week – Saturday March 2 with Root River Jam on stage. Missing that Sunshine? Find it at HCP with Live Music with Avey/Grouws Duo, Caribbean Cocktails – Pina Coladas, Hurricanes, and Cruise Karaoke!